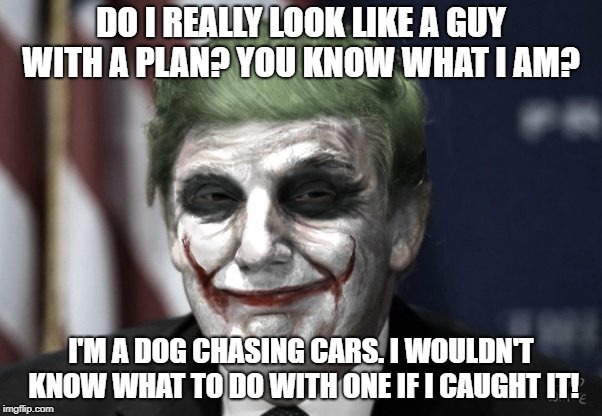 DO I REALLY LOOK LIKE A GUY WITH A PLAN? YOU KNOW WHAT I AM? I'M A DOG CHASING CARS. I WOULDN'T KNOW WHAT TO DO WITH ONE IF I CAUGHT IT!